OEM VW/Audi Passat & A4 02-06 Contitech / INA / HEPU 1.8T Timing Belt Kit with (metal impeller) Water Pump Fits Engine Codes AMB & AWM. This listing is for NEW OEM parts. 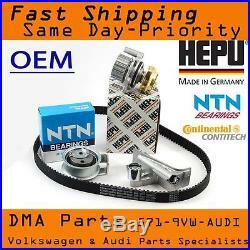 We specialize in new and used OE & OEM parts for VW and Audi.